Rooms from $127.67 per night. Description This Savannah, Georgia hotel has an indoor pool and non-smoking guest rooms. 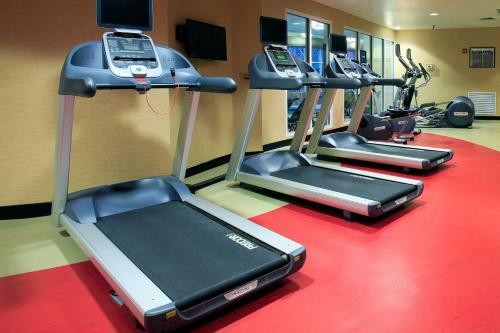 A free airport shuttle free Wi-Fi an indoor pool and fitness and business centers less than two miles from the airport add up to a good deal for our guests at the non-smoking DoubleTree by Hilton Hotel Savannah Airport. This three-story hotel has 97 suites featuring plush bedding separate living areas microwaves mini-fridges coffeemakers and flat-panel LCD TVs with premium cable. The on-site restaurant serves a buffet breakfast daily (for an additional fee) and dinner. 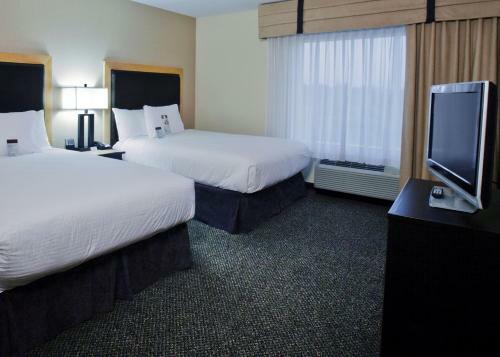 The hotel provides free Wi-Fi an on-site business center a guest laundromat valet dry cleaning and a convenience store. To unwind after a busy day guests can work out in the fitness center relax in the heated indoor pool and hot tub or take advantage of the two-story lobby's club-lounge seating with a beverage from the full-service bar or the gourmet coffee bar. On-site parking is free and there's a free airport shuttle. Located less than two miles from Savannah/Hilton Head International Airport the hotel is a 20-minute drive from downtown Savannah. The Fun Zone Amusement Park and the Mighty Eighth Air Force Museum are three miles away. The Historic District River Street City Market and numerous museums are less than a 30-minute drive and Tybee Island is a 45-minute drive. 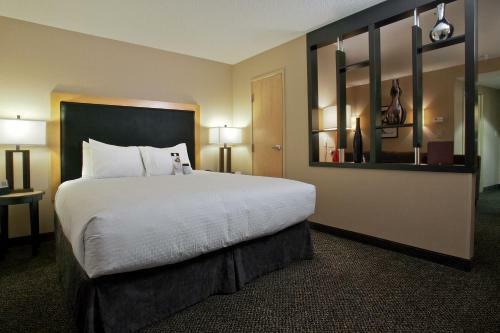 Add Doubletree By Hilton Hotel Savannah Airport to your free online travel itinerary.